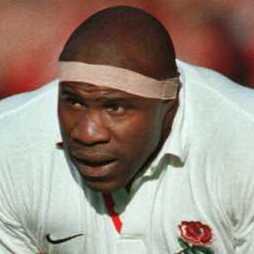 I was contacted recently by Victor Ubogu, former England prop and now corporate hospitality guru. 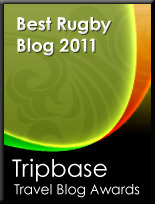 “I am told that you write one of the more popular rugby blogs” he writes. Cheeky sod. Not so popular that you actually read it yourself then Victor? Anyway, the upshot is that Mr Ubogu would like me to publicise Cyclothon UK, an endurance, team relay, road cycling race round the Brands Hatch Grand Prix Circuit on Thursday 15th September. The plan is to raise funds for charities AfriKids, Anthony Nolan, Nordoff Robbins and Wooden Spoon and and the race is open to teams of between four and eight and teams can choose to race for either eight or twelve hours around the 2.3 mile Grand Prix circuit. Celebrity sports teams are being assembled including rugby legends JPR Williams , Rory Underwood, Phil De Glanville, Nigel Redman, Mark Regan, Craig Chalmers, Doddie Weir and David Hilton. For more info check out the Cyclothon UK website. "Cheeky sod. Not so popular that you actually read it yourself then Victor? " I couldn`t help laughing. You have a way with words!